In the UK there are over 52 million Internet Users around and 70% of those users purchase online! 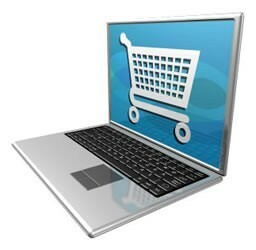 Could you really afford not to be online and selling within the ecommerce environment. Over the years purchasing online has become more and more secure and nowadays everybody is doing it. Buying online has become the ‘Norm’ so with this in mind would you want to miss out on all those potential buyers? eCommerce also known as Electronic Commerce consists of the buying and selling of products / services over electronic systems such as the Internet and other computer networks. If you are planning to sell products, take credit card transactions, and process orders from within your company through your website online, then the answer is YES. If you’re unsure about certain elements with eCommerce then please don’t hesitate to contact us, we’re here to help in any way we can. With all our eCommerce Design services, we give you the first years Hosting absolutely FREE!